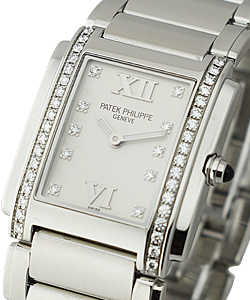 This watch is also known as: 4910-49G , 4910-49G-001 , 4910/49G-001 . 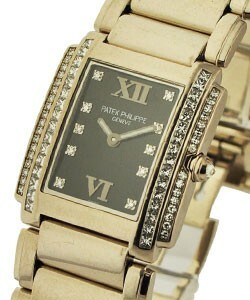 Patek 'Twenty-4' 18kt White Gold and Diamonds Bracelet Ladies wristwatch. 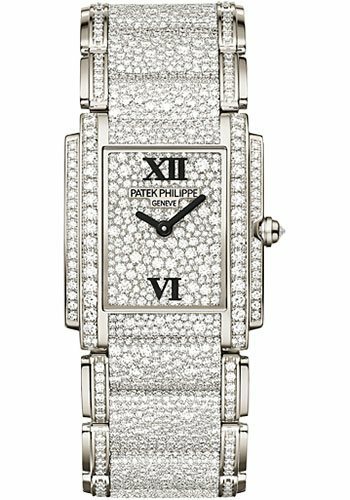 This magnificent Patek 'Twenty-4' Ref No:4910/49G powerful signature features a Whether in cool steel, warm rose gold, or noble white gold, each model radiates the incomparably fiery splendor of Top Wesselton diamonds that adorn the bezel, the case, and/or the bracelet. The crown of each Twenty~4? is studded with an onyx or a diamond solitaire. The gold collection includes precious small-size models and breathtaking pieces of high jewellery. A line of Twenty~4? rings and earrings echo the watch's collection, forming a sophisticated ensemble that will compliment every taste. 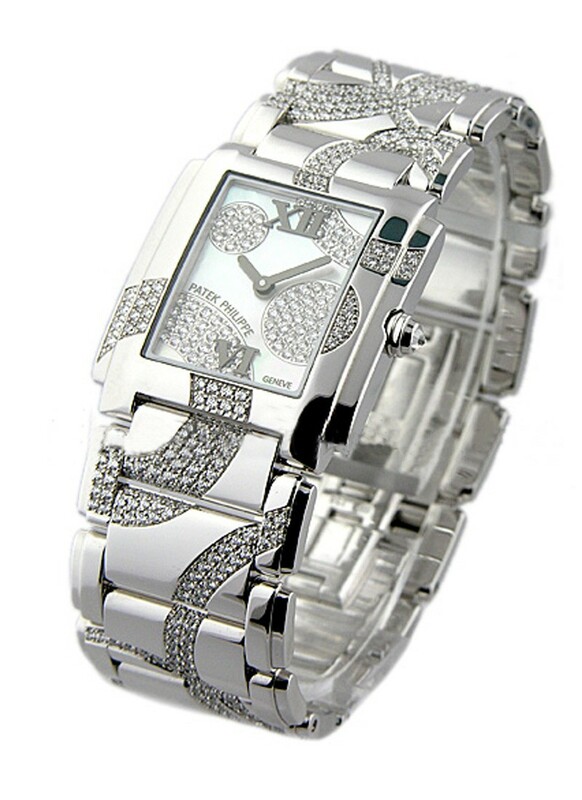 Medium Quartz Water resistant: 25 m Case dimensions: 25 x 30 mm. 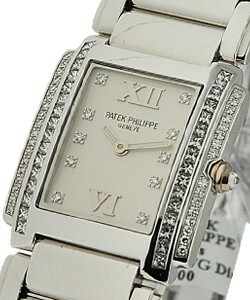 Patek Philippe's lady?s Twenty~4? 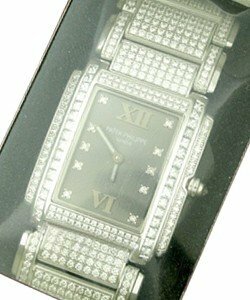 was created for the refined, active woman of today who seeks a watch that reflects her style and may be worn on all occasions. Each model reflects perfection in craftsmanship, and the curved silhouette of the case is a loving caress for the feminine wrist.